Sounds like it could have been a dome collapse caused by a rapid release of gas/steam? The explosion apparently threw blocks as far as a kilometer from the dome and incandescent (i.e., hot) material end up on Gages Mountain slopes. The pyroclastic flow itself made it all the way to the sea via Plymouth (the former capitol) and building were set ablaze by the flow in the abandoned city. The ash column from the eruption is also producing lightning. Sounds like we’re beginning to get a better idea of what is erupting in Ethiopia. Ghezahegn Yirgu, a geologist at Addis Ababa University, reports that Dalla Filla Dalaffilla Volcano is the source of the eruption. Again, the eruption is being characterized as “lava flows” rather than an explosive eruption, which may be surprising considering the amount of volcanic gases being released (see Boris Bechnke’s highly useful comment). However, some mostly effusive eruptions have released a lot of volcanic gases in the past – see Laki, Iceland in 1783 – so a preponderance of flows at Dalla Filla Dalaffilla would not be shocking. Now, there is surprisingly little information I can find about Dalla Filla – in fact, it doesn’t even appear in the GVP database or, for that matter, almost anywhere on the internet. 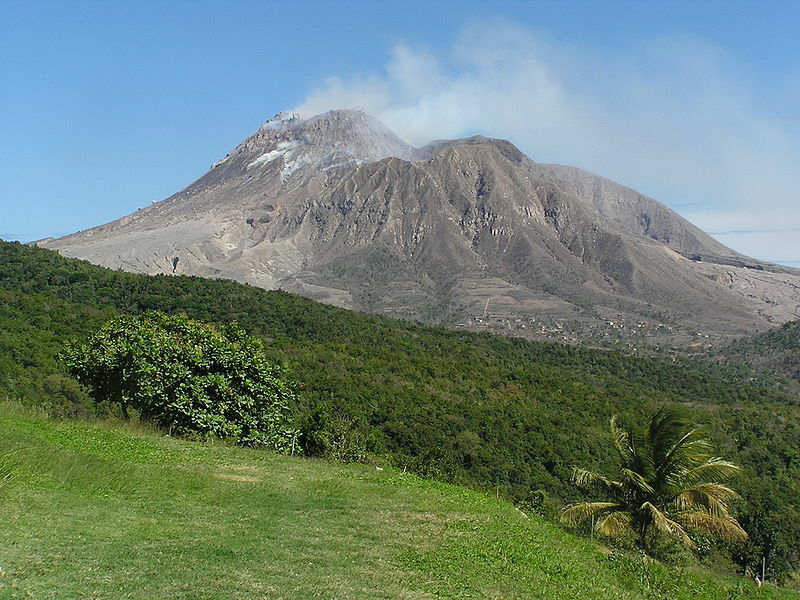 The volcano is located, according to the article linked above, about 20 km north of Erta Ale, so it is in a region of active East African Rift volcanism. The map above (from the USGS) shows all the volcanoes in the area that have known eruptions since 1800, so unless Dalla Filla is being confused with Dallol, it might be the first eruption of the volcano in quite some time. I’ll update once I can find more information on Dalla Filla (and feel free to comment here if you know more than I). REVISED (11/6/08): Apparently, the volcano in question is Dalaffilla, which shows up in the GVP website (Thanks Ole and Ron). 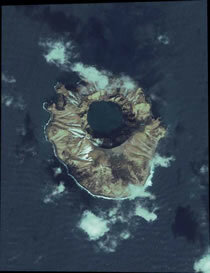 There isn’t much information on Dalaffilla, except that, surprisingly, it appears to be a silicic volcano. The reports I’ve read so far seem to indicate that lava flows have spread out over a large area, which would suggest a low viscosity (i.e., basaltic) lava. Thanks to the Eruptions readers who dug out some great information. It seems like Kasatochi has released quite a large flux of sulfur dioxide into the atmosphere. What effect this might have on climate is hard to tell, typically large SO2 fluxes will lower global temperature (or at least hemispheric temperature) by a fraction of a degree annually – which can actually still have a perceivable effect on weather. For those of you interested in where all the SO2 is in the atmosphere, try out this site run by NOAA that provides maps and predictions for SO2 movement.